This article follows up my previous article called “Why You Might Need To Sleep On Your Side?” and here we are going to look at the “how” aspect of the equation, so that you can begin to take control of your sleep disorders. The good news I want to share straight away that it is very much possible to learn to sleep on your side or become a side sleeper and this can be done with side sleeper pillows or other DIY methods I talk about below. The first thing to know is about forming habits. Everything that you do in your life is the result of you having formed a certain habit and then you just keep doing it day in and day out. But remember, when you first start doing something new it is always an either very difficult or very special experience because all those things are new to your body and your mind. Both activities and pleasures reduce in intensity as you get used to it. Same with sleeping posture. It may be difficult to start changing from sleeping on back to side sleeping, but after about 40 days of doing something we develop a habit and then it becomes the thing that we do without thinking about it. So it is very much doable, but be realistic and do not give up half way. First of all I believe just having the correct mindset is already half the job done. If you are completely convinced and tell yourself that for whatever reason it is you must now sleep on your side then your mind will resist you much less and it will be that much easier and faster to form the habit. That said, you can’t just lie down on your side and expect to remain in that position after you fall asleep and “lose consciousness”. The good old tennis ball method spoken often on many websites involves sewing a tennis ball either in the front or the back side of your cloths depending if you are a stomach or back sleeper. The idea here is very simple, i.e. 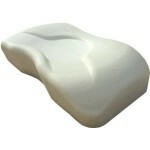 to make it uncomfortable for you to lie down in all other positions except on the side. Getting off the bed and sleeping on your sofa, which is usually less wide than the bed and this lack of space creates problems (dropping off the sofa) if you try to sleep on the back or stomach sides. After some time of sleeping on your side on the sofa you can transition to the bed. 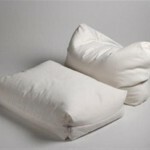 You can also use multiple pillows to give yourself support to try to remain on the side, but usually pillows are not strong enough to be an obstacle and can be easily tossed away. Still, many of them, one that you hug, one between the legs and a back towards the wall might do the job. I think the most comfortable is what they call a total body pillow. You literally get into it and it prevents you do move at all and you are completely comfortable wrapped in a sort of a cocoon. The only negative part of this experience is that your partner will surely complain because cuddling is practically impossible when you are inside a total body pillow. 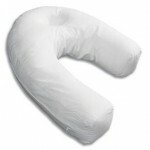 Lastly there are some pillows among the side sleeper pillows which have an opening inside at the bottom part of the pillow and this is for people to be able to put their arm through the pillow and relieve the pressure from the arm. 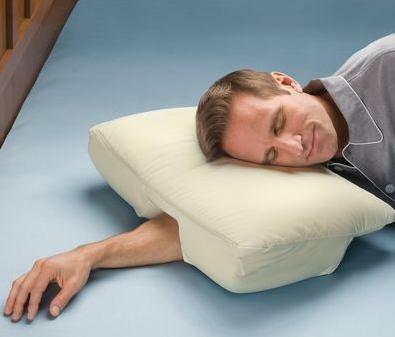 If you are finding it hard to sleep on your side because your arm or shoulder hurt this might solve it for you. I hope this article was helpful to you and I suggest that you give it a shot first by trying the home DIY methods of becoming a side sleeper and then consider reading side sleeper pillow reviews and see if something there strikes a match with you. 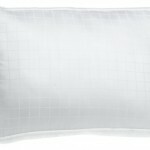 Luckily most of those pillows are pretty affordable so it will not be difficult for you to get one if you need. Best of luck in treating your sleep disorders. I’ve used a auto c-pap for 10 years. I am used to the headgear and sleep well to begin with but awaken after five hours needing more oxygen (hypoxia?). I have severe COPD and use oxygen with it. I just can’t decide on how much. Some nights take more than others. I haven’t had over five nights of normal sleep in 15 years since lung surgery. I am exhausted! Even though mine self adjusts it is my amateur opinion that I am suffering from excessive carbon dioxide? In summery I have an overlap of COPD and apnea. My doctor prescribed 25mg of Seroquel to enable me to sleep, and it sure does. I knocks me out all of a sudden and I awake the same way. Somehow, I feel this has an impact by not going to sleep, and awaking at a natural rate. I immediately look at the display to see the pressure when woken. If it is around 10 or 11, I feel better than if it is low as 7 or 8 as it often is. Another sleep test 13 Jan.. Hoping for a different machine even though I’m told my ResMed EPR Auto II is a good one. Thanks, and sorry to be so wordy. For one no good dr. Should prescribe sleep meds if you have sleep apnea i have been told that for 20 years when i started using a cpap. I had to learn by trial and error for most part some natural ways like melatonin is safe but what helped me most was to learn to meditate it frustrating cause it takes a long time to learn,and learn to sleep on my side, but now some melatonin and meditate about an hour before bed clears my head of the days crap and nightmares and tossing and turning stop.